There are two deluxe rooms at this glamping holiday property: the lotus and the orchid. 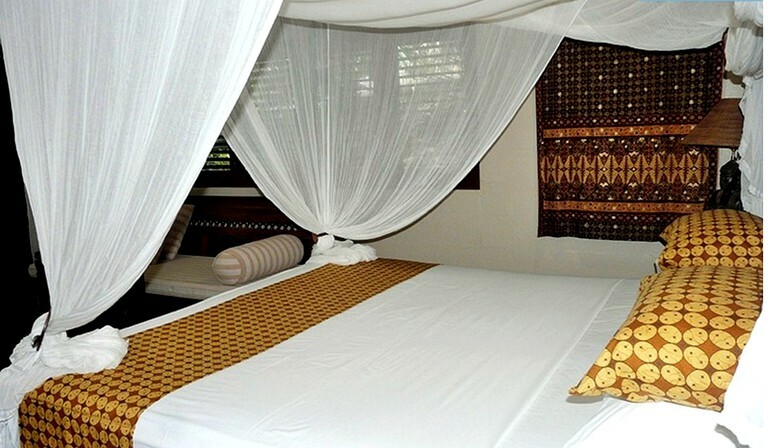 The rooms have a Balinese influence and can accommodate two guests each. 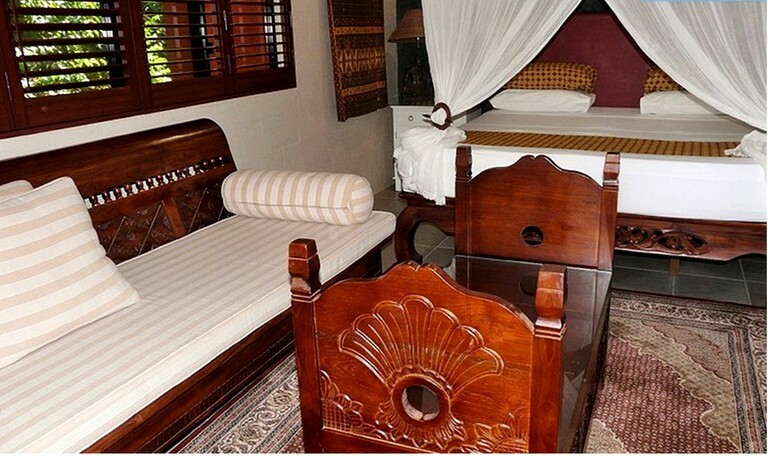 Both superior rooms come with a hand-carved, Balinese, king-size opium bed with a luxury mattress and sheets. 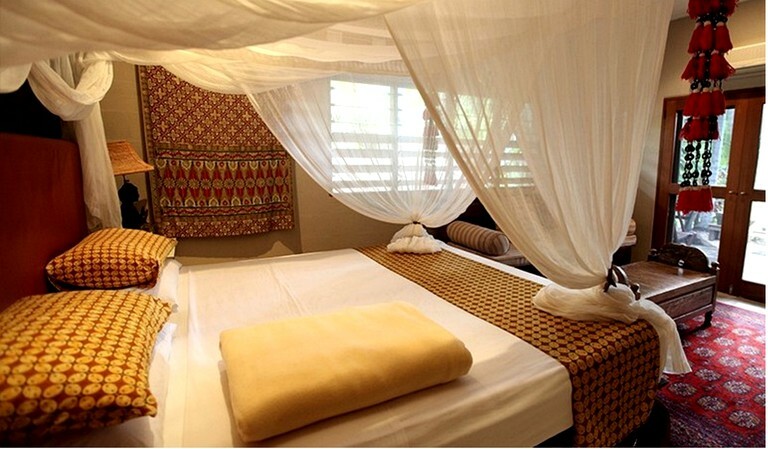 There is a cotton mosquito net, a comfortable day bed, a flat-screen television and a DVD player. Guests will also find a DVD library, a minibar, and tea and coffee facilities. There is a safe, air conditioning, ceiling fans, an exclusive bathroom with robes, and beautiful private gardens. They are both completely screened-in, too. Situated high up in the clouds, this glamping property commands some of the most spectacular views in the region. With high altitude guests can always be guaranteed of peaceful days and cool breezes. 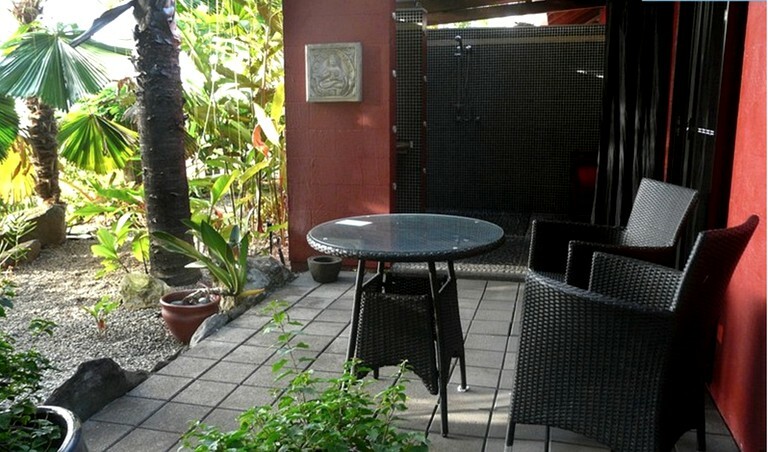 It is the perfect location away from the hustle and bustle of big cities, traffic and people. This glamping property has a private courtyard for guests to relax with their friends and family and watch the sun go down in the evening. There is also an outdoor saltwater swimming pool with sunloungers for guests to go swimming and sunbathe. The glamping property features a 24-hour front desk and night reception and also a tour desk. There are laundry facilities (for an additional fee), and multilingual hosts (English, Spanish, German, and Italian). Wi-Fi is available for free in all of the accommodations. A daily tropical breakfast is included in the rates for these accommodations (Superior & Deluxe Rooms only). The breakfast includes tea, coffee, juice, fresh seasonal tropical fruit, a selection of cereals and breads (including raisin bread), cheese, yogurt, hot croissants, and homemade jams. 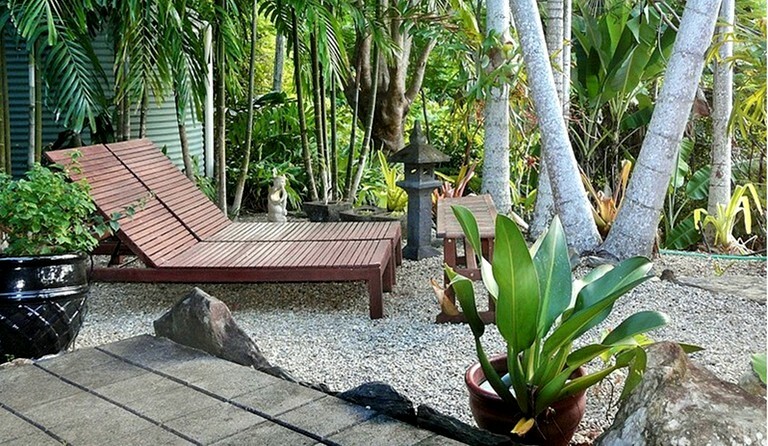 This gorgeous property is within easy reach to beautiful beaches, fine dining, shopping and all local tours and attractions the region has to offer. Guests can escape to paradise and discover hidden treasures, amidst the mountains, with cool sea breeze while relaxing around the saltwater pool. While in Port Douglas, be sure to try your hand at kitesurfing on Four Mile Beach or scuba diving and snorkeling in the Great Barrier Reef with a local guide company. 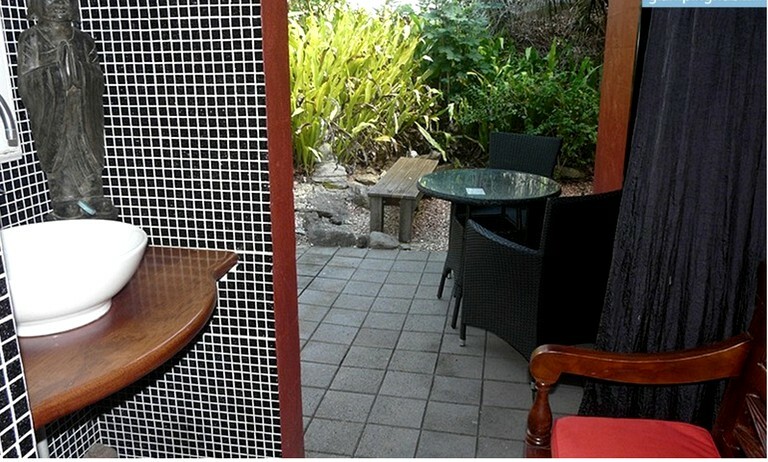 In the town of Port Douglas, guests will also find plenty of dining establishments for a night out on the town and golf courses for a quick nine holes. Don’t forget to visit Thorton’s Peak and Bundaberg and the Coral Coast. Check-in is at 2 p.m., and check-out is at 10 a.m. This is an adults-only property for anyone over the age of 18. Well-behaved pets are also welcome. There is a three-night minimum stay for all accommodations.